French 2.30ct ruby & diamond ring. Product code: 1189 Categories: Sold Items, Sold Rings. 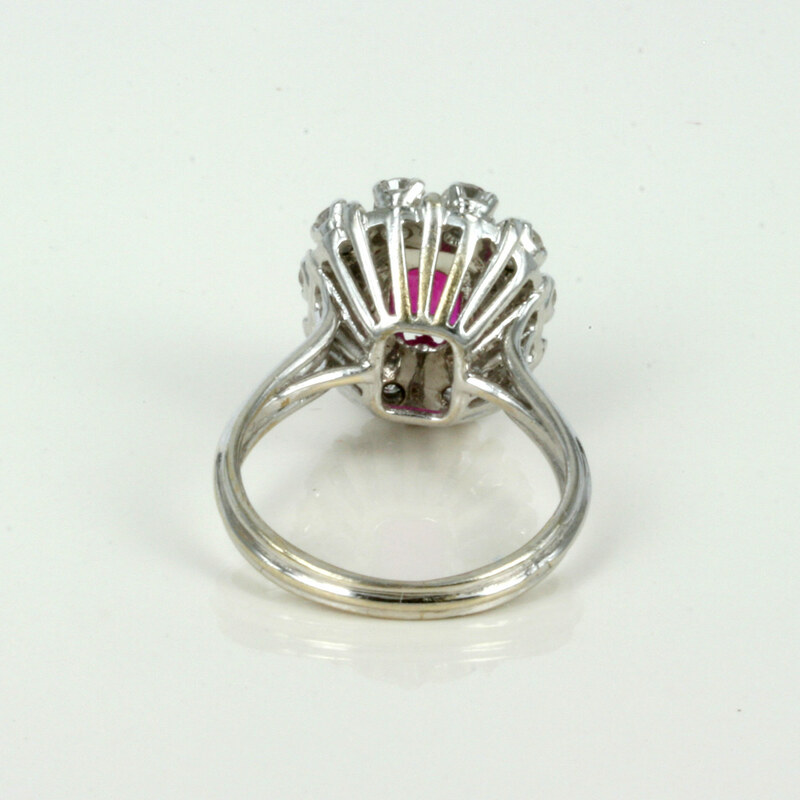 Here is an amazing ruby and diamond ring made in France in the 1930’s, set in a magnificent cluster design. Set with a 2.30 carat ruby and surrounded by 10 diamonds that total 1 carat in weight, the ring is hand made in 18ct white gold and looks sensational on the finger. Made in the 1930’s, this is one of the nicest ruby and diamond rings around that will always get attention and be admired.